Once again one of the key attractions at this year’s Tullamore Show will be the Bord Bia cookery demonstrations with Celebrity Chef Neven Maguire and Bord Bia’s Food Advisor Sheila Kelly which will take place at 12 noon and 2.45pm. Neven and Sheila will combine forces to present tasty dishes that all the family will enjoy. 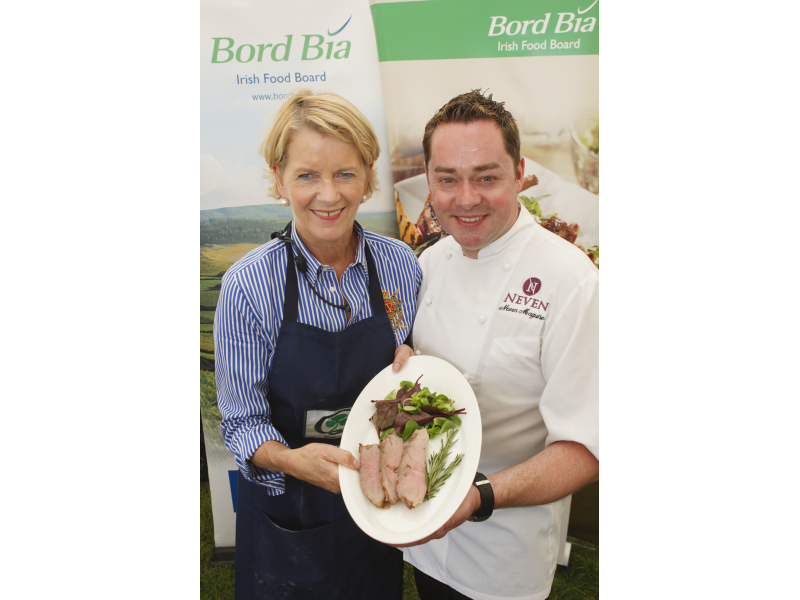 Sheila will prepare and demonstrate a variety of Bord Bia recipes including quality assured pork and lamb dishes, all of which can provide quick and tasty meal solutions. Neven will show visitors how to prepare a Grilled Rib-eye Steak with Smoked Paprika and Red Pepper Butter, Lamb Cutlets with Garlic, Lemon and Paprika and a White Chocolate, Coole Swan & Strawberry Cheesecake. These will be selected from Bord Bia’s most recent cookbook – The Quality Kitchen Cookbook. All recipes will be available on the day and online at www.bordbia.ie. 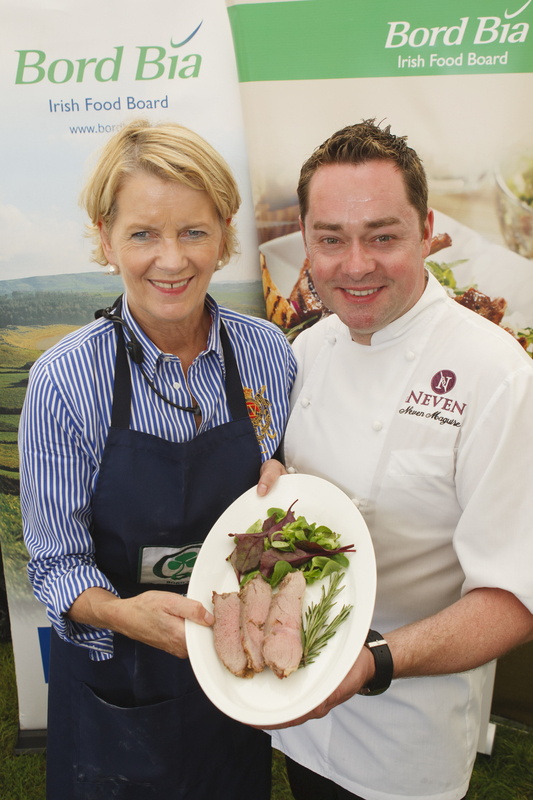 Both Sheila and Neven will be cooking with products carrying the Bord Bia Quality Mark, which means they have been produced to the highest quality standards and can be traced back to the farm. As members of the Bord Bia Quality Programme, over 40,000 farmers and over 150 processors are passionate about achieving the highest standards of quality. They are audited regularly by Bord Bia to ensure that these standards are maintained from the farm right to the shop shelf. So if you’re looking for some fresh ideas at the Tullamore Show, make your way to the Bord Bia cookery demonstrations and remember when shopping, always choose products with the Bord Bia Quality Mark.